When was the last time you actually went and watched the fireworks up close and in person? Are You Too Cool For School Sydney? If you're a seasoned Sydney-sider like myself then the truth is probably around the 10 year mark. Sad how we take for granted the fact that at our doorstep is the greatest Harbour in the world with what are arguably two of the most recognisable landmarks. Add to this the fact that it is these very landmarks that are centre stage for the New Years Eve fireworks spectacular and really we should be kicking ourselves for missing even one year! And here we are well into our tenth!? Shame on you Sydney. Sydney really is a wonderfully vibrant city, and although I am not here to try and sell it to you, I am here to offer you a front row seat that not only puts you centre stage and guarantees your night is sorted but takes away the biggest stress surrounding new years eve, the old 'oh crap, it's 11:50pm where the heck are we going to go for the fireworks' game. 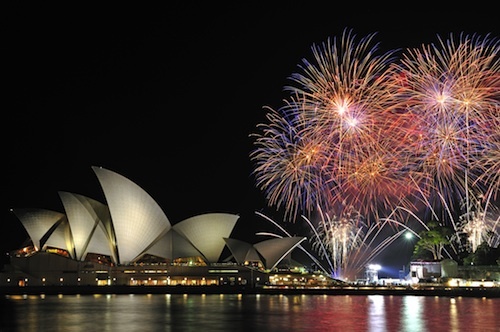 What Can You Expect On a Sydney Harbour New Years Eve Cruise? If you have purchased a ticket on one of AnyBoat's many New Years Eve Cruises and charter boats, as is the popular option then you can expect a really enjoyable night meeting new people and seeing in the new year with friends. The boat would pick you and your party up from one of many designated places around Sydney Harbour sometime between 7 and 8pm. There is a 9pm fireworks show, so the boats need to make sure they are in the best possible spot for you to enjoy this. For the next few hours up until the clock strikes midnight you are treated to a meal and a fine selection of horderves as well as all the alcohol you can drink. That's right - Beer, Wine and House Spirits are provided as part of your ticket so that you can really enjoy the night and see 2015 off in style. This gives you a chance to catch up with friends, have a dance on the expansive dance floor, stroll one of the many decks and viewing platforms and enjoy the views of Sydney Harbour and that 'Buzz' that only New Years Eve can bring. Or do all of the above and more, because with our boats providing seating for up to 400 people there will be plenty of things to do. That is until the clock strikes 12. At midnight you can expect to be pleasantly surprised as Sydney reminds you how amazing she is. The fact you are viewing it from what can only be described as the best seat in all of Sydney makes it taste all that much sweeter too! I'd make a comment how lucky you would feel at this point but seeing as you were smart enough to secure yourself a ticket on the New Years Eve Cruise in the first place, I'd say it's just good planning and excellent forethought. How Much Isn't a Ticket? Tickets range in price from around $300 through to $750 and beyond, but the question you should be asking is, How much isn't one? 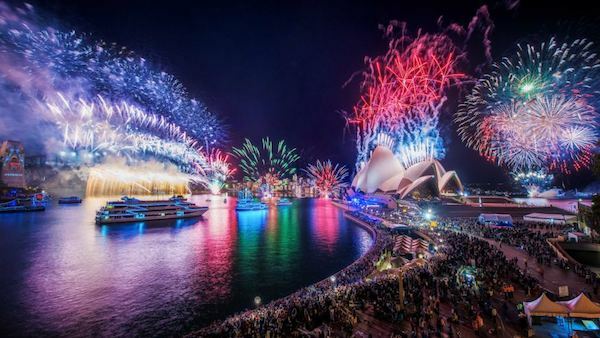 If you work out the cost of finding a spot and guarding it like a hawk for 8 hours+ and then add the exorbitant prices of alcohol and food on New Years Eve you are left with a price scarily close to the cost of a ticket on a 2015 New Years Eve Sydney Harbour Cruise. I don't know about you but given the options I think I'll take the cruise with it's fine dining, all you can drink attitude and guaranteed front row seat thank you very much. 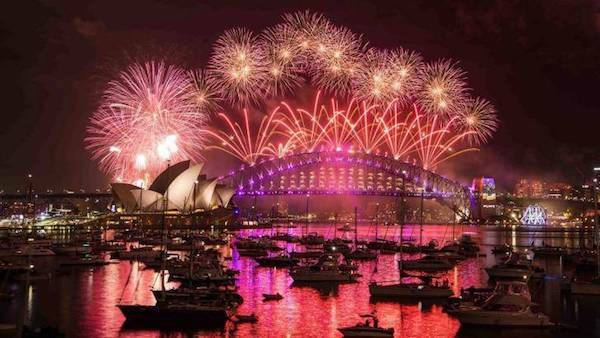 Sydney Harbour New Years Eve 2015 - Have You Secured Your Ticket? See Our Full Range of New Years Eve Vessels and available options HERE. Be quick as places are filling fast and once they're gone they are gaawwwwnnnnnn!